Iaşi (Jassy). Map: VI-8. The principal city (2011 pop 263,410) in northeastern Romania and a county center. It was first mentioned in the 11th century as Yaskyi Torh on the Rus’ trade route between Kamianets-Podilskyi and Bilhorod-Dnistrovskyi. 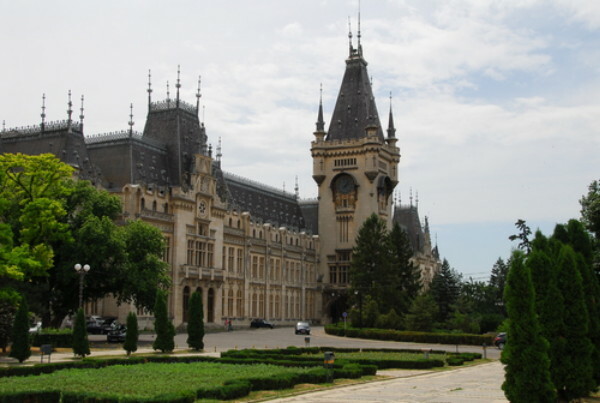 From 1434 Iaşi was the residence of the Moldavian prince-regent. 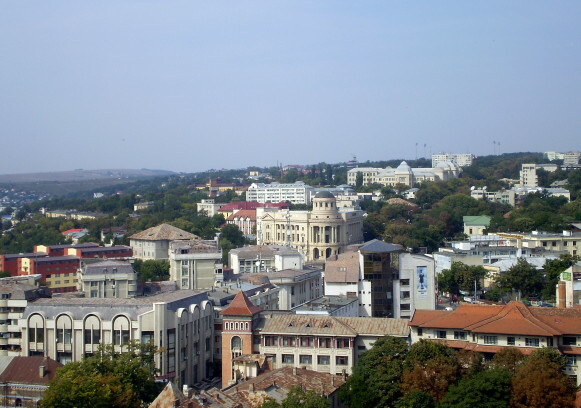 From 1565 to 1862 it was the capital of Moldavia. In November 1577, the Cossack otaman Ivan Pidkova occupied Iaşi and proclaimed himself hospodar of Moldavia. In 1594, Iaşi was captured by the Cossack forces of Severyn Nalyvaiko and Hryhorii Loboda. The Battle of Cecora in 1620 took place near Iaşi. Under Moldavia's ruler Vasile Lupu (1634–53), Iaşi had close ties with Ukraine. In 1640 professors Sofronii Pochasky and I. Yevlevych of Kyivan Mohyla College founded an orthodox college there, at which Metropolitan Petro Mohyla of Kyiv had a complete printing press installed in 1641. In September 1642 a council of Ukrainian, Greek, and Moldavian Orthodox theologians was held in Iaşi; it ratified Metropolitan Mohyla's confession of the faith. During the Cossack-Polish War, in 1650 the Cossack forces under Tymish Khmelnytsky and Colonel Danylo Nechai occupied Iaşi. In 1652 Tymish Khmelnytsky married Lupu's daughter Roksana Lupu there and in May 1653, he defeated a Polish-Wallachian-Transylvanian army there. Hetman Pylyp Orlyk lived in Iaşi towards the end of his life and died there in 1742. A Russian-Turkish peace, confirming Russia's annexation of the lands between the Boh River and the Dnister River and of the Crimea, was signed in Iaşi in 1791. In November 1918 representatives of the Entente Powers met in Iaşi to plan a military intervention with the Volunteer Army in Ukraine. The Hetman government sent a delegation headed by Ivan Korostovets to the talks. From 1928 to 1936 Ukrainian students from Bukovyna and Bessarabia at Iaşi University had their own club, Hromada. In January 1942, a Romanian court martial in Iaşi tried 12 Bukovynians (among them Olha Huzar, M. Zybachynsky, and Yu. Furman) for Ukrainian irredentism and sentenced them to terms of hard labor.